Wedding card maker says “I Do” to customizing beautiful designs. Wedding card maker can be part of planning one of your most important days. Everything needs to be faultless for the occasion, and online wedding cards from Smilebox ensure the ultimate fit. Sound complicated? It’s not! Creating your picture-perfect online wedding card is super simple with the Smilebox wedding eCard maker. Online wedding cards are designed with convenience in mind. It’ll be a relief to discover the ease of using the Smilebox wedding eCard maker when there is so much else to take care of. All you need to do is find a free wedding card template that you love, add photos and text, and then share it with your guests. Free wedding cards go even further. 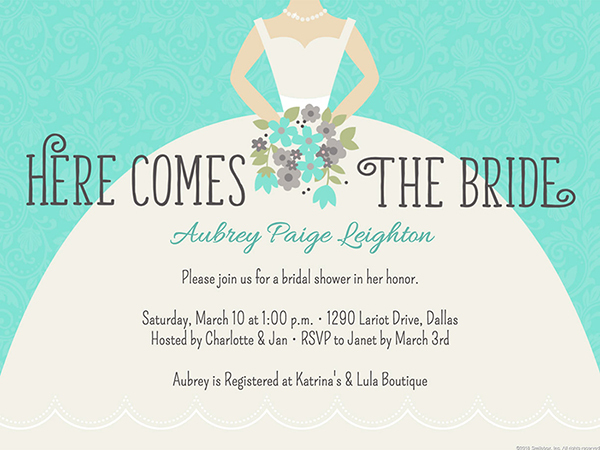 You can use different online wedding cards to announce the event, invite guests, and send reminders. All it takes is a few seconds to change the text using the online wedding card maker. To discover more about the advantages of our wedding eCard maker, keep reading! For a once in a lifetime day, you need a unique online wedding card design. The Smilebox wedding card maker has loads of them, each with a different style. Find the one that’s closest to the mark, click it, and then click “Personalize”. Don’t worry about it being perfect – that’s coming soon. The wedding eCard maker allows you to view the photo collections that you have stored on your social media accounts, phone, and computer by clicking “Add More Photos”. If you can’t find an existing image that is the best match for the free wedding card design, you can simply take one with your phone at your convenience, and with your direction. Within moments, you can have it uploaded to the wedding card maker and appearing on your card. The online wedding card maker allows you to change essentially every aspect of the template. You can edit all texts big and small, fonts, and colors. Every time you make a change, it will appear immediately on the free wedding card. For a final touch, you can add a music file that will play every time the online wedding card is viewed. Take a final look at the free wedding card that you have created, and then share it. For immediate delivery, you can use email and social media. Free wedding cards can become part of the keepsakes that you store with all your other wedding memorabilia. A full color copy of your online wedding card will serve as a beautiful reminder of a lifetime event. Online wedding cards will be cherished by others as well. Your loved ones can pin up paper versions of your free wedding card at home, or look at them every time they access their social media account. The effort that you invest into the wedding card maker will be noticed for years to come. Wedding card maker might be your first foray into the Smilebox family of products, but it should not be your last. Now that anniversaries are something you celebrate, how about using our anniversary card maker? It’s got all the features of our wedding eCard maker. In fact, you’ve probably got a whole bunch of new things to celebrate now that you are married. Smilebox has a solution for each one. Births, baptisms, graduations, and other special events each appear in our long list of stunning cards for you to customize.